Stamp(s) Added - Triggers every time a stamp is added. Reward Forfeited - Triggers every time a reward is forfeit by deducting stamps. Reward Redeemed - Triggers every time a reward is redeemed. Reward Earned - Triggers every time a reward is earned. New Enrollment - Triggers when a customer enrols into a loyalty card programme. Find a Customer - Finds a customer by ID. Redeem Reward - Redeems a reward from a customer's card. Add Stamp(s) - Add stamp(s) to a customer's card. Add Stamp(s) With Unique Id - Add stamp(s) to a customer's card with customer's unique id. Redeem Reward With Unique Id - Redeems a reward from a customer's card with customer's unique id. Enroll Customer - Adds a customer to your program. 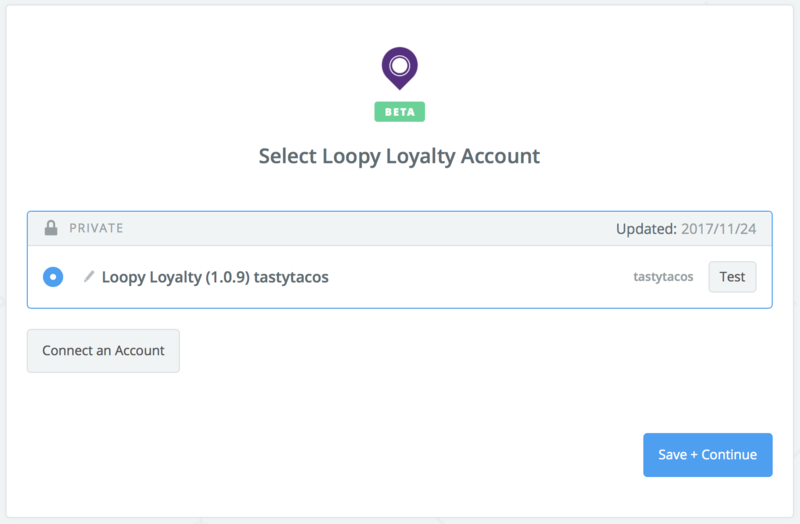 When you start creating a Loopy Loyalty Zap, you will be asked to connect your Loopy Loyalty account. 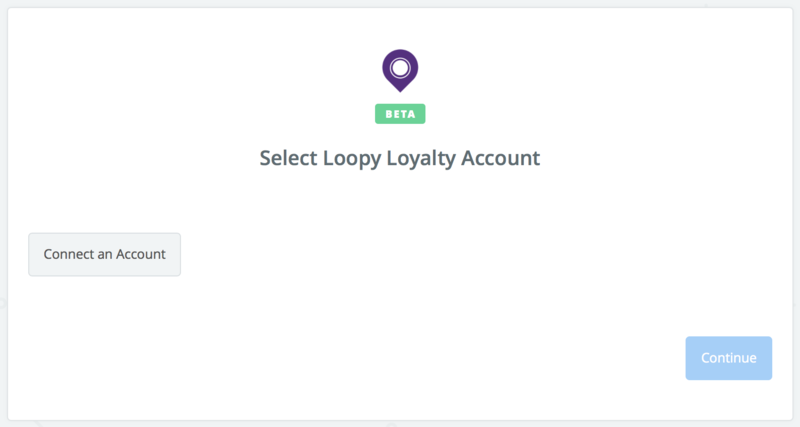 When you click connect, you will then be asked to enter your Loopy Loyalty username and password. 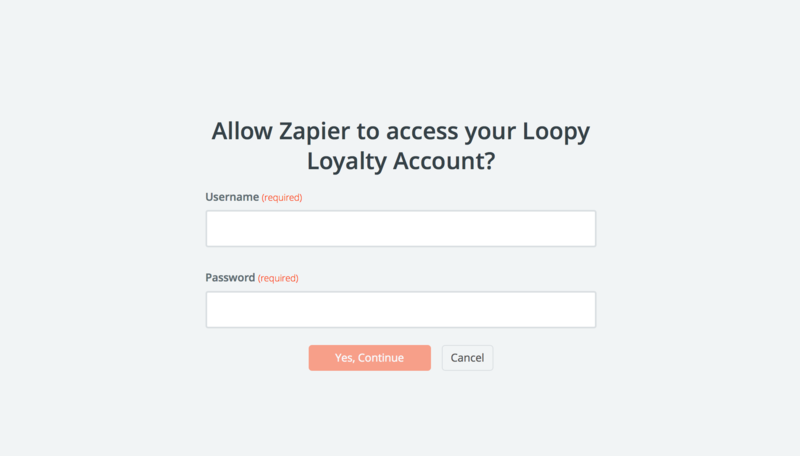 If those steps were correct, you'll get sent back to your Zap where you will now have your Loopy Loyalty account successfully connected!